Bharti Airtel, India’s largest mobile phone operator, is considering mergers or stake sales at some of its Africa operations as it looks to cut debt and make its biggest overseas acquisition profitable. The moves would pare the size of operations in the continent and could be completed within a year, chairman Sunil Bharti Mittal said in an interview at the World Economic Forum in Davos. Some of Bharti’s businesses in 15 African nations would be affected, he said. Faced with an escalating price war in its home market, Bharti is looking for ways to pare net debt equivalent to about US$12bn as of September. The company has sold its Sierra Leone and Burkina Faso operations, as well as some of its tower businesses, as it reorganises assets it bought in 2010 in a $9bn deal with Kuwait’s largest mobile phone operator. Bharti’s African unit lost $91m in the quarter ended September, compared with a $170m loss in the previous year. As part of the debt reduction, Bharti is also considering selling a stake in Bharti Infratel, its tower unit. A committee was studying whether the sale would be a minority stake or control of the tower unit and a decision could be taken in a month, Mittal said. In October, Bharti said in a stock exchange filing that it had formed a committee to evaluate options for its 73,5% stake in Bharti Infratel. Mittal’s moves come partly in response to the entry of India’s richest man, Mukesh Ambani, into India’s wireless telecommunications market last year. Ambani stormed into what was already one of the most brutally competitive telecoms markets in the world with an offer of free voice services, forever, and free data services for a limited time. Ambani’s Jio mobile phone service will probably force the exit of the smaller players in a market with almost a dozen operators, Mittal said in the interview. Among them is Telenor, the Nordic region’s largest phone company. 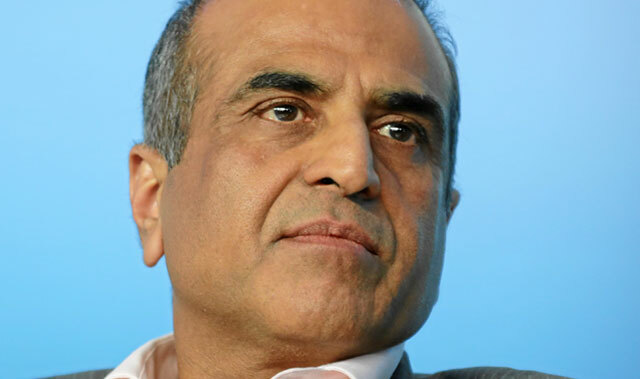 Bharti was among those in discussions to buy Telenor’s India business, Mittal said. Bharti, which will announce its earnings for the quarter ended December on 24 January, may have been hit by India’s currency ban, Mittal said.